The Beauty of Life: Find the Right Foundation! Director of Makeup Artistry for M.A.C Cosmetics Gregory Arlt Shows You How. Find the Right Foundation! Director of Makeup Artistry for M.A.C Cosmetics Gregory Arlt Shows You How. "Go to an expert," he said. "The only way to really see if a foundation works is to try it on. Some people test it on the back of their hand, and they’re like, this looks good! Are you going to wear it there? No! 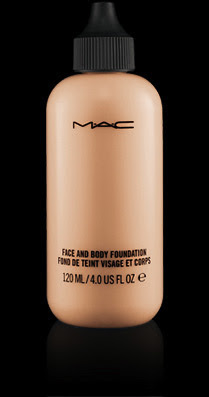 Foundation goes on your face! Our oils oxidize the product a little bit, so you might have the perfect shade and in an hour it might go orange or darker." But that's not all! Gregory went on to tell me that foundation should be treated like skincare. Pick a foundation that coincides with your skin type -- a moisturizing foundation for dry skin, a matte foundation for oily skin, and if your skin is normal, "you can pretty much wear anything!" he said. Gregory recommends taking 3 different colors and testing at the jawline. "You’ll start to see the edges blur, and if they look dark you’ll know it’s the wrong color," he said. "If it disappears, you’ve found the right one." At the end of the day, remember this: "You don’t want to look or feel like you’re wearing foundation," Gregory said. "It should feel like skincare."